Bed bugs are insects that can irritate you mentally as well. Though they don’t carry any dangerous diseases, their bites can cause severe itching that can lead to problems such as infections, stress, and lack of sleep. Bed bugs love to reside in hiding spots inside homes, regardless of whether the home is clean or messy. They only feed on humans and do not feed on the blood of pets like other pests such as ticks. One of the most dangerous aspects of bed bugs is that they cannot be controlled or removed when they are found in small groups. You need to spot a huge population of bed bugs in a single location and get the help of a professional pest control expert to eradicate them. Bed bug infestations are very common in the remote areas of your home such as small & dark corners, holes in the walls and other quiet areas. They feed on human blood, especially when people are sleeping. They love to feed on human blood during the dark hours. If you thought bedbugs could jump or fly like other insects, you are mistaken. Bed bugs cannot jump or fly; they can only crawl with their 6 legs. So how do they go from one place to another? They move with their legs and though we use the term, “crawl,” bed bugs can move as quickly (if not more) as the ants! You could walk into your friend’s house and walk out carrying a beg bug on your clothes or luggage or other personal belongings. These bugs spread easily, and before you realize it, your home would experience bed-bug infestations. If you feel an itching sensation in your skin when you wake up in the morning, you could have been bitten by a bedbug during the night! 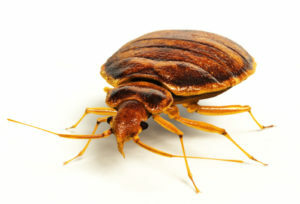 All of a sudden, your clean and pest-free house becomes the new abode for bed bugs. They travel quite easily, and they make themselves very comfortable once they are indoors. Bed bugs are active all through the year, and it is very difficult to control their spreading rate if you don’t diagnose their presence in the early stages. It is highly recommended that you call up an expert pest control agency to check your home for bed bug infestations at regular intervals so that you can be safe than sorry. Used furniture, clothing, the layers between your curtains, luggage, suitcases, gym bags, cardboard boxes, mattresses, and pillows are some of the common areas where bed bugs can reside in your homes. An adult bed bug can go without food for almost a year! Therefore, never assume that your home is free of this pest because it is neat and clutter-free. Bed bugs could have already settled down in your place, with you being blissfully unaware of the same. Whenever you come home after traveling to a hotel or anywhere else, always ensure that your clothes and luggage are cleaned thoroughly to eliminate the risk of bed bugs. You can never be sure from where these bed bugs could have crawled on to your personal belongings. Check your place regularly to check for bed bug eggs, nymphs or adults at the corners and call an expert without further delay to prevent yourself and your family from bed bug bites.